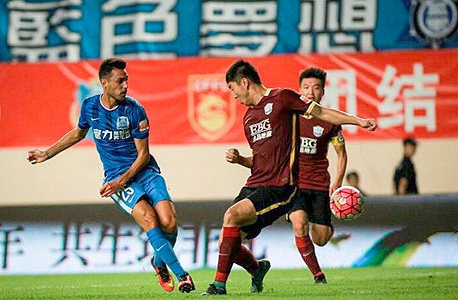 Pixellot Ltd., an Israel-based startup offering automated video production and streaming for sports events, announced last week a deal to sell its systems to the Chinese soccer market. The deal names WinPower, a subsidiary of China Sports Media Ltd. (CSM) as the distributor of Pixellot’s systems to the Chinese Super League. CSM owns the media distribution rights for CSL, lower-tier soccer teams, and much of the rest of the Chinese soccer market. The first Chinese team to receive a Pixellot system is Jiangsu Suning Football Club, one of 16 teams that make up the premier Chinese Soccer League. Pixellot offers automated multi-camera systems that are positioned at fixed locations on soccer fields and in sports stadiums. The company’s system stitches a panoramic image on of the sports event. The unmanned technology also allows for automatic capture of the game flow and the production of video highlights. The videos produced by Pixellot systems can be used to assist with coaching in real-time during matches or afterward in training sessions. Found in 2013, Pixellot is headquartered in the Tel Aviv suburb of Petah Tikva with additional offices in the U.S. Spain, and Japan. The company’s systems are currently in use in Spain’s La Liga and England’s Premier League. “Integrating Pixellot’s technology with WinPower’s foothold in the Chinese professional sports industry will power a new experience for both athletes and coaches,” Tao Wang, WinPower’s general manager, said in a statement. “WinPower, and its parent company, China Sports Media, have strong connections with organizers, media, and sponsors in the professional soccer sector, making them an ideal distribution partner for the rapidly growing professional Chinese soccer market,” Pixellot CEO Alon Werber said in a statement.